News has recently been released that Apple have submitted a proposal to Unicode, which includes the addition of diability emojis for users. These emojis include people in wheelchairs, prosthetic limbs and service dogs, as well as many others. If this is approved (which we hope they are), they will be available to be used on phones by next year. We all know that emojis are starting to represent how we are all feeling when we’re chatting to friends and family online, and even when we have something not-so-nice to say at times! There is generally always a fitting emoji for what we need. There are even emojis that cause confusion at times and leaves us questioning what they actually are! Apple have recognised this and have also recognised that very few of the current emoji options “speak to the life experiences of those with disabilities”. They have also said that “Adding emoji emblematic to users’ life experiences helps foster a diverse culture that is inclusive of disability,”. The Unicode Consortium is the organisation that reviews requests for new emoji characters – this is the place that Apple have submitted their proposal to. Apple stated “Currently, emoji provide a wide range of options, but may not represent the experiences of those with disabilities… Diversifying the options available helps fill a significant gap and provides a more inclusive experience for all.” We couldn’t have said it better ourselves! Here at AKW, we think this is a great step towards inclusion and diversity for all those using emojis in daily life (yes, they are becoming that relevant). 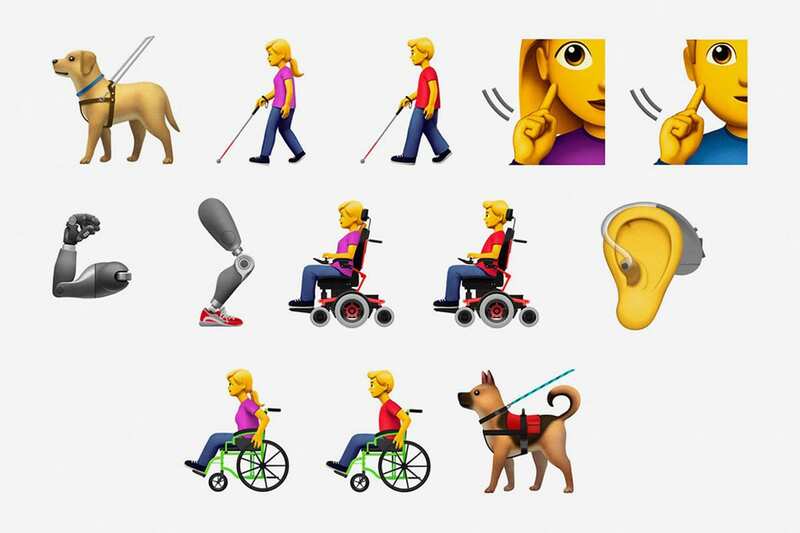 Apple have said, “This is not meant to be a comprehensive list of all possible depictions of disabilities, but to provide an initial starting point for greater representation for diversity within the emoji universe.” Who knows, we might even learn some sign language as part of the next roll out?! We’re looking forward to finding out whether these emojis will be accepted and put into use next year – What are your thoughts about Apple’s proposal? Tweet us with your thoughts.